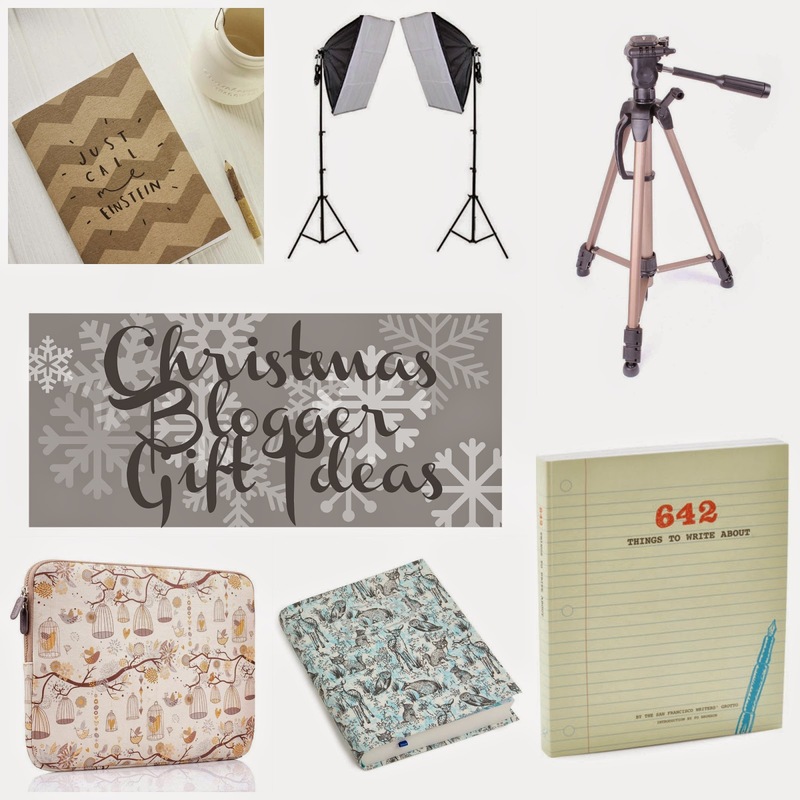 As my main readership are probably bloggers themselves, I thought it might be a nice idea to share with you so fab gift ideas that bloggers might appreciate. First up is a notebook. Can't go wrong here, every blogger I know likes to write down lists, ideas, schedules - so would make the perfect gift for a blossoming blogger. I found some great ones from Not on the Highstreet - this one is £4.50. Next, is something I currently have my eye on - especially as they now are cheaper!!! A soft lighting box is seemingly a necessity if you are photographing products indoors, especially during the winter months where good lighting is sparse. I have found photographing difficult on so many occasions and have often felt a little bit disappointed about some photos because of this very reason. These ones are a favourite among many bloggers and you get two lights for £66.99 currently, (they are normally around £85) available HERE. No end of times I have nervously stacked up books, balancing my very precious Cannon at the top, all in a vain attempt to make myself a tripod! Its something I still haven't added to my kit, and yet it doesn't have to cost the earth. This one is £14.99 available HERE. Its fair to say, if you blog on a regular basis sometimes you can get in a bit of a rut. Keeping ideas fresh and imaginative is something I struggle with from time to time. In Waterstones the '642 Things To Write About' book really caught my eye. Perfect for bloggers or writers looking for stating points, it is also available online HERE for £14.99. Organisation is something that good bloggers do well. Having a blogging schedule and planning ahead can be a key to a successful blog. Its something that I , again, struggle with - but I'm determined to put right come the new year. A diary could be just the thing to do this, especially if it is as pretty as this one from Paperchase, priced at £12. Finally, something for bloggers who like to blog on the go, a laptop case. This one is such a cute design, and has a lovely soft lining to keep your laptop protected. Its fairly cheap too at £10 (currently on offer) available HERE. I hope you liked this Christmas gift ideas post, and have found it useful if you're buying for a blogger or even struggling to give people some ideas for yourselves!